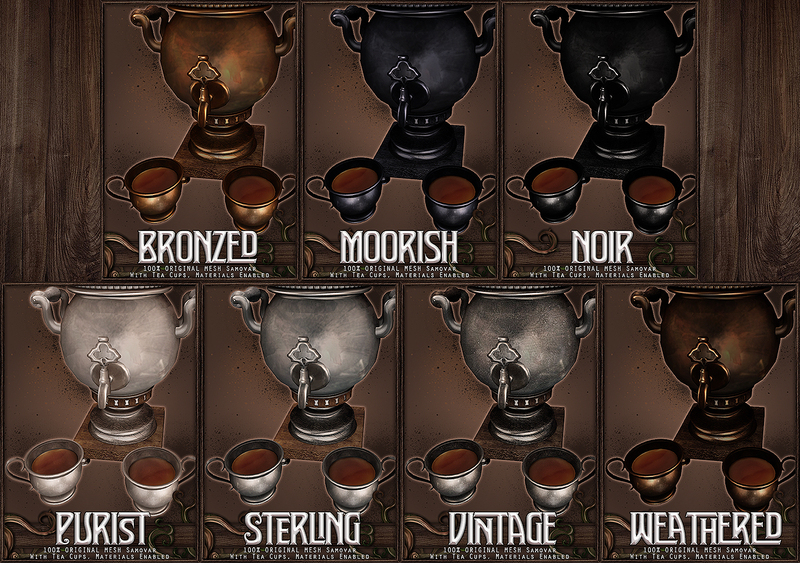 Gorgeous 100% mesh samovar in 7 variations. Behold this wonderful antique piece brought to life for your enjoyment! The Absen Tea Samovar is a delightful device designed to brew the highest quality tea you can imagine, a splendid piece of equipment for any tea parlour or kitchen or even the patio! 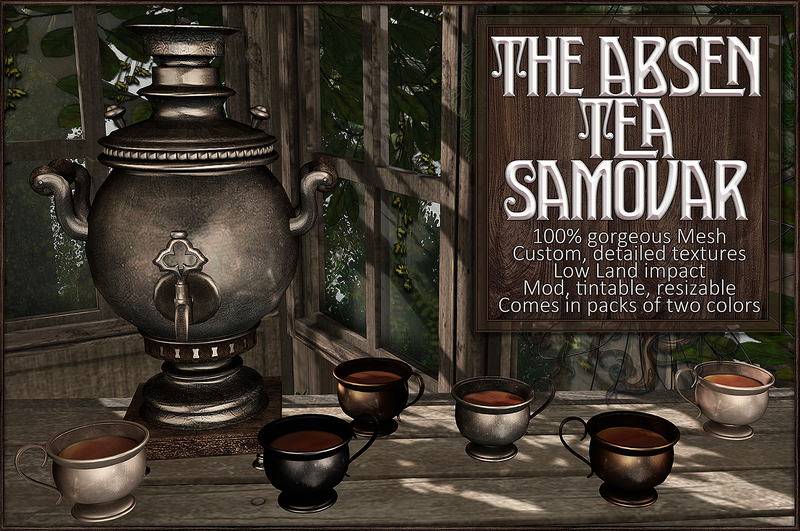 Sip and savour your tea with friends while enjoying the old-world feel this samovar provides and help yourself to another cup or three! No cleanup required. 100% gorgeous mesh custom with detailed textures and low land impact. Moddable, tintable and resizeable. ~ by Vae on June 9, 2017.